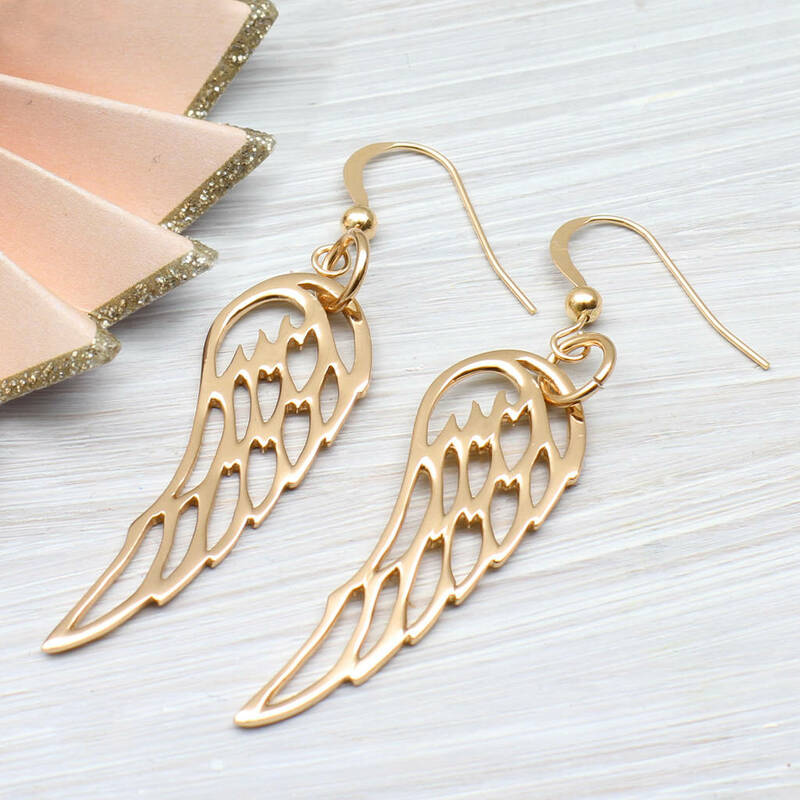 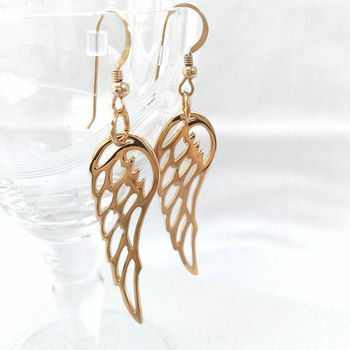 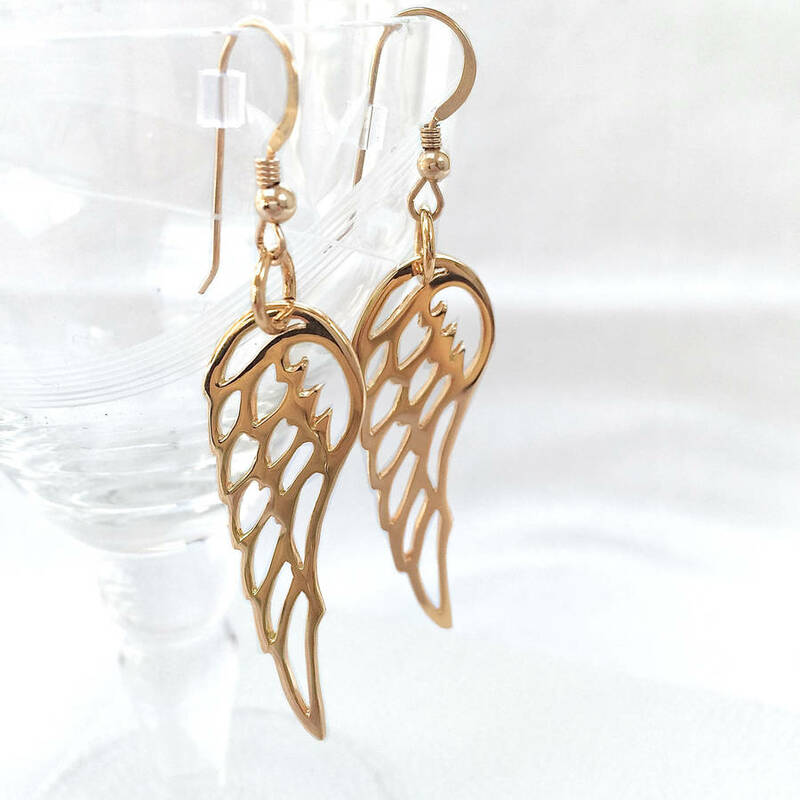 Beautiful and stylish gold filigree angel wing earrings available in two sizes. 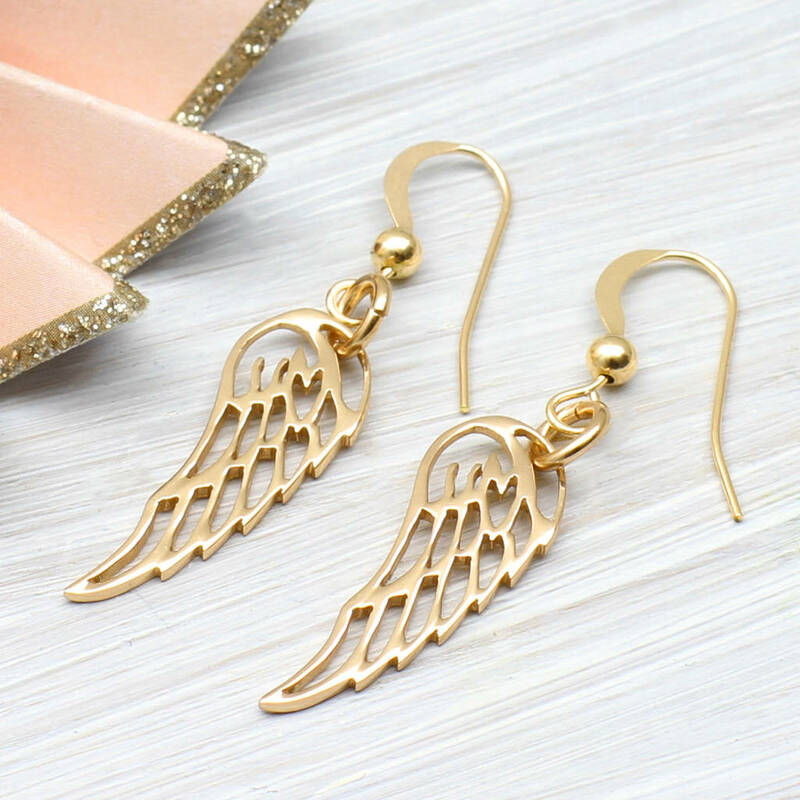 These statement earrings are really beautiful. 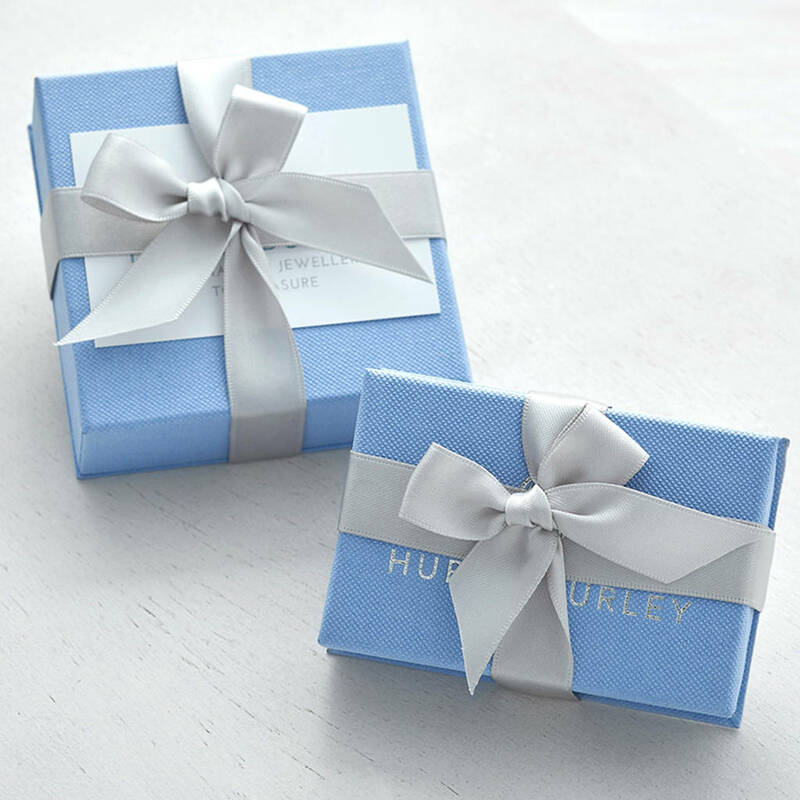 They make an ideal and welcome gift as they are really striking and yet timeless, wives and girlfriends will be impressed if they receive these.